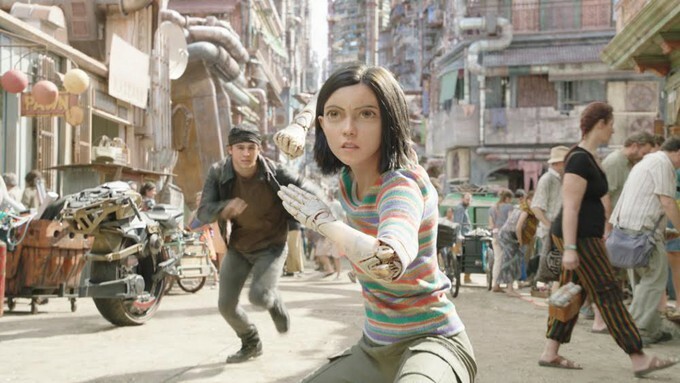 Eloy's "ALITA: BATTLE ANGEL" Review- SPOILERS AHEAD! FULL DISCLOSURE: This is my first exposure to this story, and I am not familiar in any way whatsoever with the source material. Therefore all of my views stem strictly from the film itself and nothing more. Can you leave by the wayside whatever knowledge you’ve acquired regarding ALITA: BATTLE ANGEL? Who wrote, who directed, what they wrote and directed before? The change of release dates and what it says about the studio’s opinion about it? Whatever the early tracking is suggesting I wonder what it will make come opening weekend? Trailers and T.V. spots? Probably not but if you could, if you could actually purchase your ticket and enter the darkened theater with nothing but the oblivious hope pre-internet children used to carry along, then you would be in for quite a great time at the movies. Since that, likelier than not, will not be the case and to just take it out of the way allow me to repeat what’s already been established ad nauseam. 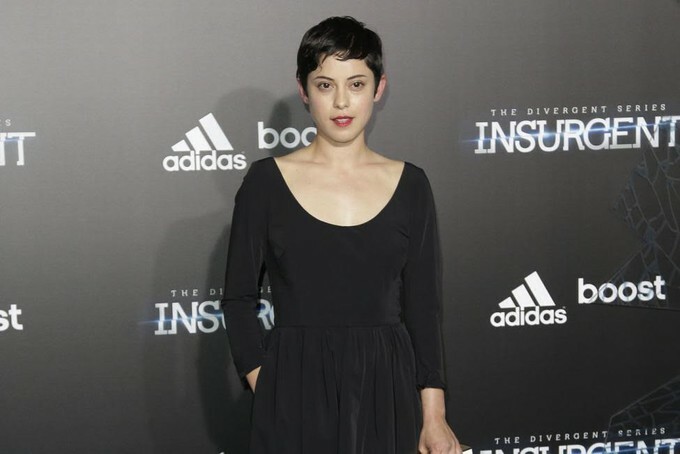 Alita (Rosa Salazar, offering a star-making performance in, hopefully, a long career crammed full with them) is obviously digitally enhanced in body and movement but, more specifically yet, also by enlarging her eyes and turning them into a clear homage to the traditional manga style such as the one found in Yukito Kishiro’s GUNNM, the film’s source material. This turns out to be the movie’s greatest stroke of genial inspiration. The latest in an increasingly colossal line of films concerned with artificial intelligence or the question of what it means to be human (Electric Dreams, WarGames, A.I., Blade Runner, The Matrix, Surrogates, Her, a long etcetera), Alita: Battle Angel and its main aesthetic choice manage to distinguish themselves from the flock by pulling off a deliciously creative feat that works twofold. First, by coming up with a way- previously unknown and wholly original to live-action filmmaking- to lay out the discordance between human and cyborg that feels, incredibly, at once bold and subtle. Secondly, by embracing the perks of a totally different medium (animation, hand-drawn at its most basic origin) and fusing them to the already stellar performance from Salazar. Both technically and artistically this is a breakthrough that transcends the standard use of motion capture; if, until now, we had grown accustomed to the two-step process of first capturing and then covering up with digital make-up what the visual effects team on Alita accomplishes is actually delivering a joint performance that works exactly alongside Salazar’s emoting. They complement each other with the CG tweaking just enough to provide something truly unique and unachievable from live-action and animation’s separate standpoints. Salazar and WETA’s Alita is part human, part machine and part cartoon and it is that combination that not only grants her humanity but makes her real. ALITA: BATTLE ANGEL is the kind of grandiose Hollywood spectacle that manages to convey grandiosity alongside humanity. The opening scenes play out deliberately, thankfully with no hurry. The world-building and character development therein are exquisite. Delineated by the presence of Christoph Waltz (at his most restrained) and a production design that, albeit familiar, is filled to the brim with detail to help to sell the simple main story. Dr. Ido (Waltz) finds the apparently lifeless body of a cyborg amongst the waste discarded from Zalem; a floating paradise tauntingly close yet eternally out of reach for all the inhabitants of Iron City, the last remnant of civilization. He proceeds to bring her back to life and names her Alita; she, from then on, tries to make sense of her newfound existence whilst falling in love with Hugo (Keean Johnson), a teenager hell-bent on one day moving into Salem and leaving Iron City’s hardships behind. There are, however, constant glimpses of a way larger and more complex mythology beneath this initial layer, clearly (and wisely) excised from the screenplay due to obvious overlength issues. We meet Chiren (a beautiful Jennifer Connelly), Ido’s ex-wife, now working as robotics expert for Vector (Mahershala Ali), the man pulling the strings behind Motorball, Iron City’s most popular entertainment. Also, an array of disparate characters ranging from Vector’s right hand assassin Grewishka (Jackie Earle Haley) to Hugo’s close friends Tanji and Koyomi (Jorge Lendeborg Jr. and Lana Condor). As well as professional bounty hunters Zapan and McTeague (Ed Skrein and Jeff Fahey) and Ido’s assistant Nurse Gerhad (Idara Victor) all of whom are forever watched and manipulated by Nova, a Big Brother-like figure working from the shadows of Salem and only openly shown at the end, revealing an unpublicized, unexpected cameo. Many of these characters barely manage to utter more than just a couple of lines, but they more than whet your appetite and leave you hungry with a curious desire to find out more about them and the universe they share. 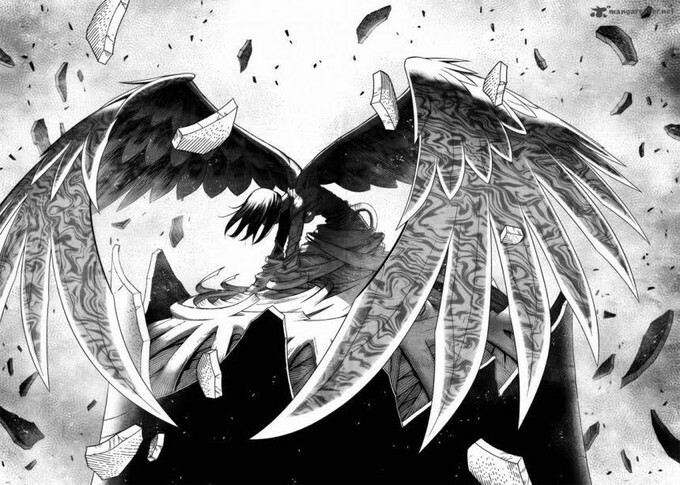 Most of these, though, are just threads jutting out from the main canvas which is, at all times, anchored by the powerhouse creation that is Alita. Alita's undisputed status as Alpha Female (she carries Hugo in her arms at one point) is, refreshingly, not confrontational in any way and just like with Sigourney Weaver’s Ripley or, way more recently, Gal Gadot’s Wonder Woman and Alicia Vikander’s Lara Croft both men and women can easily relate and empathize with her, instantly making her a bona fide heroine. She is, in turns, delicate, charming, radiant, a tragic figure and a weapon of mass destruction, and rooting for her in every single instance comes naturally. An awful lot has been written regarding producer James Cameron´s ultimate decision to pick Robert Rodriguez to helm a herculean blockbuster, but the simple, anticlimactic truth is that, regardless of the audience’s opinion being pro or con, there is almost absolutely nothing in the film that lets you in on that fact. Whatever tropes you were able to find in Rodriguez’s initial oeuvre- the fast and constant editing, the extreme zoom-ins, the guitar-heavy scores- are gone but gratefully and gloriously present is his uncanny gift to frame and shoot hero shots (like Clive Owen stated referring to his appearance in Sin City). There is an abundance of them throughout the movie and, even if some dialogue might appear outright corny on the page, the tone achieved is nothing but heartfelt: when she declares with sincere honesty, “I don’t stand by in the presence of evil,” goosebumps went all up and down my spine. The action sequences are outlandish, with choreography straight out of the most kinetic anime, but the symbiosis between content and form is so total that it is impossible to envision them any other way; the medium is the message, Marshall McLuhan said. Indeed. The multiple fights against hulking Grewishka, the Motorball (basically Rollerball with motorized skates) sequence, the Kansas Bar brawl, all are ingeniously shot, exciting and utterly satisfying. Just like the romantic relationship between Alita and Hugo which is, contrary to popular opinion, neither listless nor unnecessary but quite the opposite. 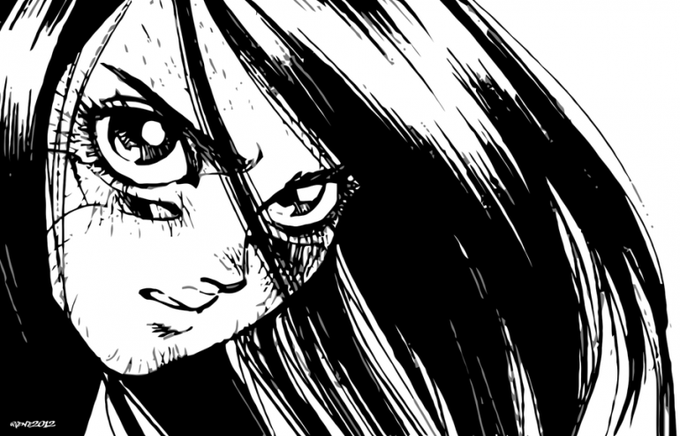 Although it would be quite easy to argue that the relationship itself is not believable that is not really the point, rather, Alita’s reaction and approach to it as best- and hilariously- exemplified by the scene wherein she- literally- offers him her heart. Her love for him is the heart and engine of the movie and nothing more is vital to make it work. ALITA: BATTLE ANGEL has no last-second plot twists awaiting, but it might not go the way most people expect it to- I was one of them. I most certainly didn´t expect to love it, and I did, sincerely. I loved the universe it offered and the people I met on the way. 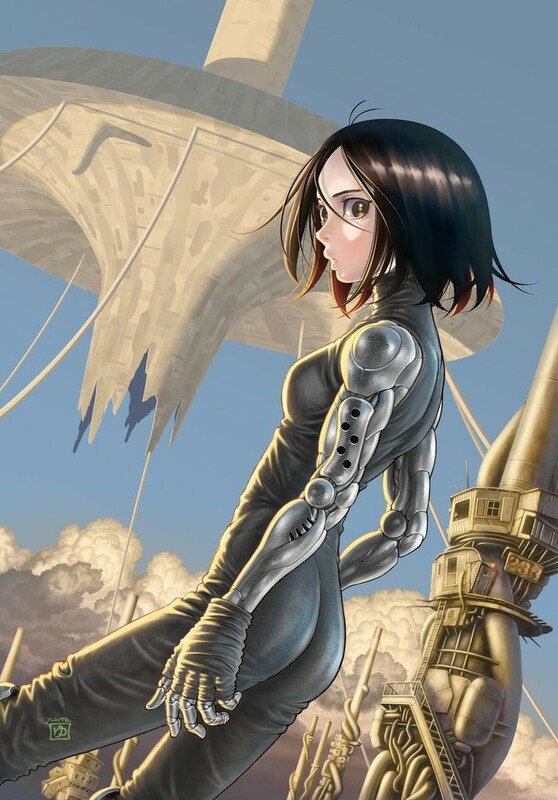 And I loved Alita, a creation of pure imagination, talent, and technology that, nevertheless, will be real every time I revisit her.